+ When parents bring a child for baptism, they are asking Jesus to put down a solid foundation in their child's life. But notice there is a stack of bricks in the background. 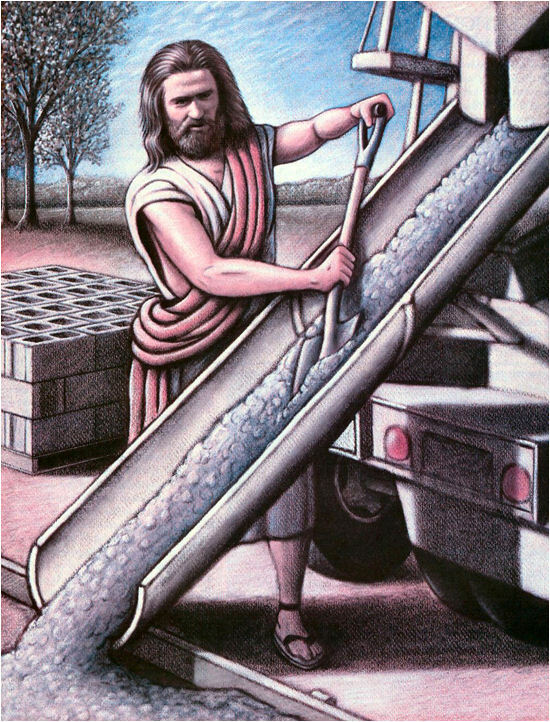 Jesus doesn't want to build only a foundation, but an entire house. + When young people stand at the altar on their Confirmation Day, they are asking Jesus to stay on the job and continue building. + None of us is ever a completed building project. So when you read that one of our Core Values is Intentional Faith Development, know that means life-long learning. For opportunities to develop your faith, visit the Education and the Small Groups pages. In honor of the 500th Anniversary of the posting of the 95 Theses (10/31/1517), we will take a month by month journey through the life of Martin Luther and his role in the Reformation that changed the church.